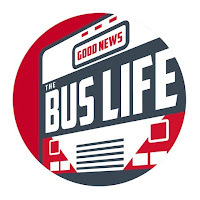 We have been very busy filming new episodes for our YouTube show "Bus Life with 9". This is our latest promo video for our show. We are asking all of our readers and followers to please share it on social media to help get the word out. Wow! This is so amazing! You guys have such a fun family and life on the road. I'm sure you are spreading blessings wherever you go!!! The lego animation was great! Thank you! That was the work of our eldest son Isaiah. We will pass on your comment to him. This is an amazing video. I love the bus and know you will have many great adventures. Enjoy!